Lupus is an autoimmune disease in which the body’s own immune system starts attacking healthy tissues. Under normal circumstances, the immune system produces antibodies which detects and attacks antigens, such as virus or bacteria. But in the case of lupus, the immune system becomes unable to differentiate between foreign invaders and the body’s own healthy tissue. The resulting immune response leads to inflammation, swelling, damage to joints, and kidneys. In the case of discoid lupus, the symptoms are restricted to the skin, and rashes appear on the neck, face, and scalp. The internal organs are not affected. Systemic lupus erythematosus is a more severe form of lupus which affects the internal tissues. The diseases are characterized by periods of activity and dormancy. Drug-induced lupus, as the name suggests, occurs due to a reaction to certain drugs. The symptoms are very similar to SLE. Medication to treat heart arrhythmia (such as procainamide) and medications for hypertension are commonly associated with drug-induced lupus. The symptoms often subside after the medication is discontinued. Neonatal lupus is rare, and it occurs when the mother’s antibodies are passed to the fetus during pregnancy. The fetus and newborn baby can have skin rashes and complications with the heart and blood. The exact causes of lupus are unknown. However, doctors believe that it occurs due to a combination of genetic and environmental factors. Lupus has been to known to occur in several members in a family which hints at a genetic predisposition toward the disease. Although the disease is hereditary, the genes which cause lupus have not been identified. It is believed that certain genes may predispose a person toward lupus, and environmental triggers set off onset of the disease. Each case is different from others. So, the disease may present itself with a variety of symptoms that range from mild to severe, and sometimes even life-threatening. The symptoms may appear suddenly or they may develop gradually. In most cases, only a few organs are affected, although the affected organs may lead to some serious complications. Usually there are episodes of lupus in which the symptoms are seen to worsen. Symptoms may include aching and swollen joints – especially the joints of the hands, elbows, wrists, ankles, and knees. Kidney problems may cause the feet and hands to swell. Flares are also characterized by high fever and feeling of fatigue. Lesions may appear on the skin, especially in the arms, neck, and face. Rashes may also appear on the face. The rashes usually present in a characteristic butterfly shape. Lupus sufferers display sensitivity to light and often experience hair loss. They may also be anemic and have blood clotting problems. There may be pain in the chest, seizures, and ulcers on the nose and mouth. The flare of these symptoms is usually followed by a period of dormancy. At What Age does Lupus Occur? The age of onset of lupus differs depending on the type of lupus. Obviously, neonatal lupus occurs very early in a person’s life. On the other hand, drug-induced lupus does not have a specific age of occurrence. It depends on when the person starts taking the drugs. Systemic lupus erythematosus commonly occurs between the age of 16 and 55. Despite this wide difference in the age of onset, lupus is more commonly observed in adults. However, it may be diagnosed early in children as well. The common age of onset is 31. Childhood onset of the disease usually leads to a high morbidity rate than adults with SLE. Children suffering from SLE have higher incidence of kidney diseases, malar rashes, pericarditis, and hematologic alterations. The patients require more immunosuppressive therapy. They suffer from long years of flares and remission, leading to extensive organ damage. Children with lupus often experience delayed puberty, problems with growth, and fibromyalgia. Late onset lupus is characterized by a rapid development of symptoms. Since the symptoms of lupus vary so greatly there is no particular test to diagnose it. Additionally, the symptoms have a tendency to change over time, which makes confirmed diagnosis even more difficult. The American College of Rheumatology has established a set of guidelines for the diagnosis of lupus, and this is currently followed by many doctors. Lupus affects several parts of the body. The treatments for lupus may lead to further complications. The kidneys can sustain serious damage in people with lupus. In fact, kidney damage is the primary cause of death among patients with lupus. Lupus can damage the central nervous system which leads to headaches, loss of memory, dizziness, seizures, and behavioral problems. Patients with lupus often suffer from anemia, blood clotting, and inflammation of blood vessels. The lungs may be affected resulting in noninfectious pneumonia. The resultant inflammation of thoracic cavity leads to difficulty in breathing. The heart’s muscles and arteries may also become inflamed. In such cases, people become more susceptible to heart attacks and cardiovascular diseases. Lupus sufferers are at increased risk of cancer. The risk is especially high for lung cancer, liver cancer, and non-Hodgkin’s lymphoma. Degradation of bone tissue may occur. Pregnant women are at risk of miscarriages and preterm birth. Currently experts and researchers are trying to understand the underlying causes of lupus. Their research is focused on the genetic factors that cause lupus. Researchers are trying to identify and understand the genes and predispose a person toward lupus. They are also studying biomarkers which indicate that lupus is about to occur. Experts are also trying to find out how the disease affects different organs in order to design more effective treatment methods. 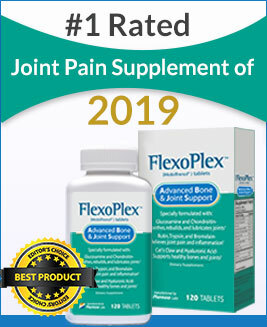 There are several joint pain relief medicines available in the market. As per the Omega XL Reviews, it can be a strength for personages sustaining joint pain.